Sankashti Chaturthi 2019 dates as per Hindu lunar calendar in India and the Sankashti list is given below with Chandrodaya time today (moonrise time today) in Pune, Mumbai, and Maharashtra. Sankashti Chaturthi, or Ganesh Sankashti Chaturthi Vrata, is an auspicious day dedicated to Lord Ganesha in a Hindu lunar month. This Ganapati Vrata falls on the 4th day of the Krishna Paksha (waning phase of moon) of the lunar fortnight or on the fourth day after full moon or Purnima. Ganesha devotees observe a fast (fasting – upvaas) on the day. When the Sankashti Chaturthi falls on a Tuesday it is known as Angarak Sankashti and is considered highly auspicious. 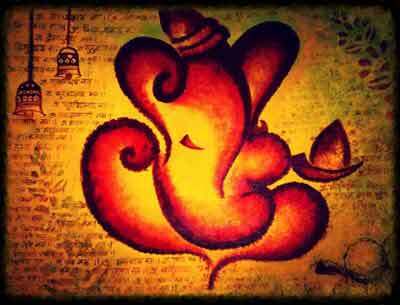 Why Chaturthi is Auspicious to Ganesha? Ganesha was born on Chaturthi Tithi (fourth day of a fortnight) as per traditional Hindu calendar. Therefore Chaturthi day is auspicious to Ganesha. Ganpati is the Lord (Swami) of Chaturthi Tithi. As per Sage Vyasa, those performing puja, prayers, and charity on Chaturthi will be blessed with peace and prosperity. How to observe Sankashti Chaturti Vrat?